When using Shopify's Dynamic Payment Buttons, the Buy Now button can be modified to match your theme look with this code change. If you'd like to override the accent color and use a different color, add this code after the above. 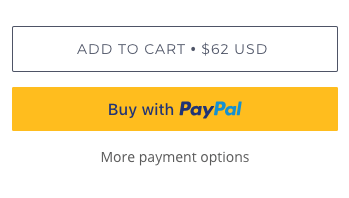 If you'd like to remove the PayPal button and replace with the above Buy Now button, you'll need to deactivate PayPay's express checkout option.